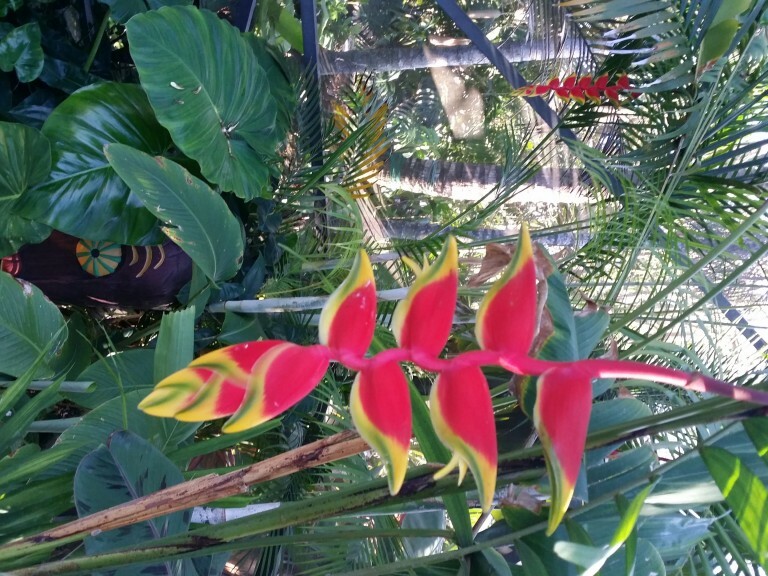 If you’ve been thinking of stopping in to Exotica Tropicals- this is the week to do it! 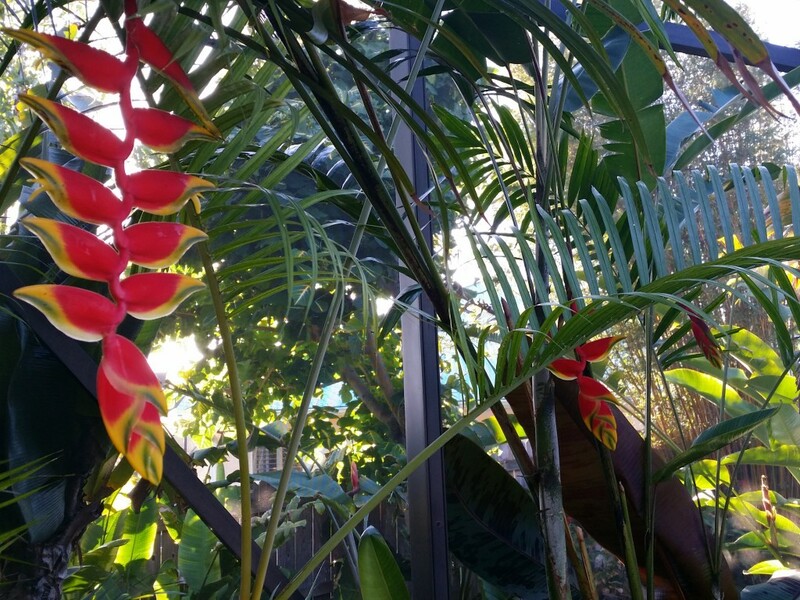 The jungle is really taking off at the nursery- we’ve got Heliconia rostrata “Hanging Lobster Claw” pushing out blooms like mad! We’ve got blooming plants in 7 gallon pots available – just plant in the ground and you’ve got an instant mature blooming clump. 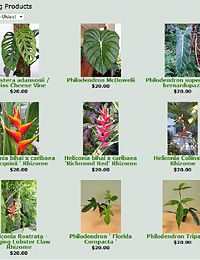 We’ve also got smaller Heliconia rostata in 3 gallon pots as well. Speaking of Heliconia, we’ve got beautiful blooming sized specimens of Heliconia ‘Pedro Ortiz’ – a hybrid cross between a pendant (hanging) bloomer and an upright. 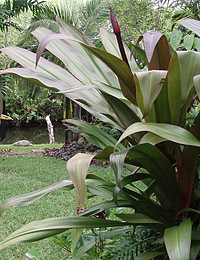 The blooms are bright purply red and emerge upright, then twist around to create a very unique exotic display. They also feature an attractive red edge to the leaves that looks fantatsic when emerging, as well as a nice red speckling to the stalks. 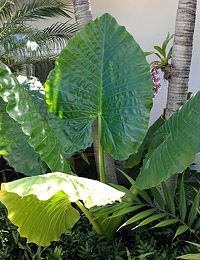 Available in 7 gallon pots- mature size. 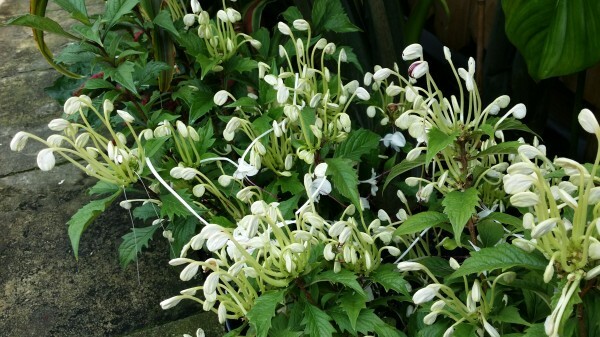 ‘Musical Notes Plant’ Clerodendrum incisum is putting out an impressive new flowering. The curly white blooms resemble G clefs and appear on the plant regularly throughout the year. A nice shrub that can take up to full sun and a real eye catcher. 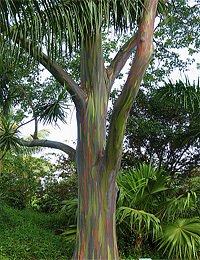 We are down to our last Rainbow Euclayptus and Japanese Fern Trees- stop by this week if you want to get yours! Japanese Fern Tree (Filicium decipiens) does very well in Brevard - a deep green lush tree that is full of leaves that resemble fern foliage. 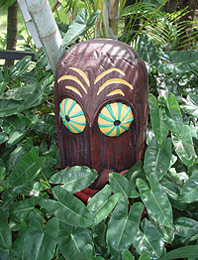 Great for shade, windblock and privacy. 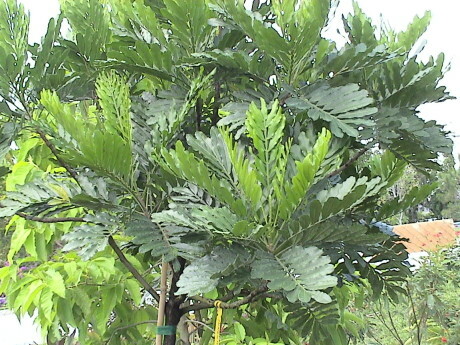 Japanese Fern Tree – A Great Tree For Brevard! 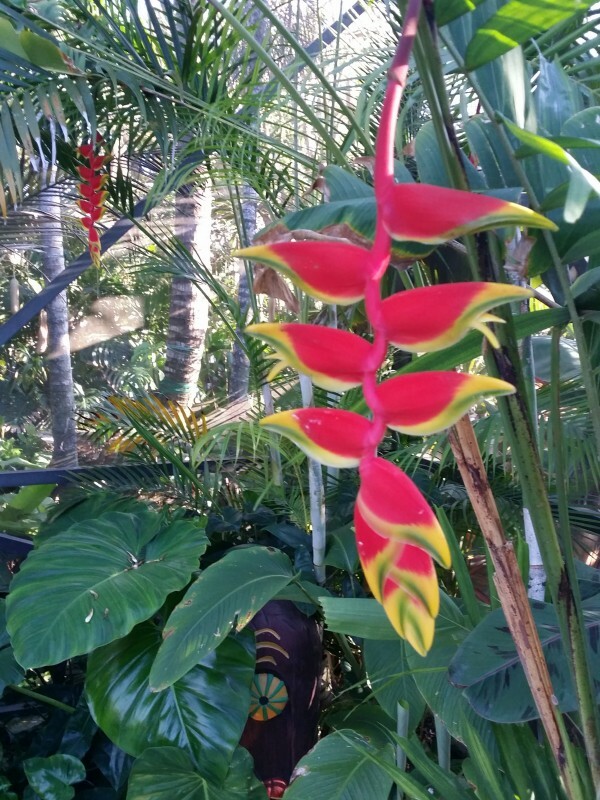 We’ve also got plenty more odd and interesting goodies at the nursery- new varieties of tropical gingers are coming in all the time as well as new species of Philondendron and Anthurium.. come check out the jungle!